The first time I tried Sonal’s lentil pops they came out so well that I made them again when we had guests over! This recipe does take a bit of forethought (even more than my Sprouted Moong Pancakes) but it doesn’t take much work at all. These lentil pops are super healthy, tasty, and filling! I used cumin powder instead of coriander powder, just for fun! I added some toor dal (split pigeon peas) the second time round (not the ones in the picture!) and I think they made the pops more dense and filling. 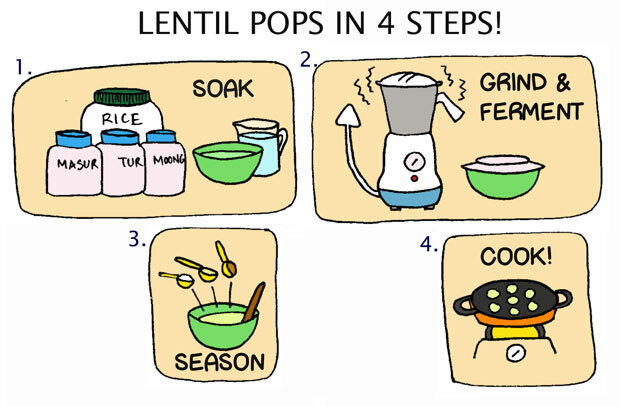 So stick to the original for “light” lentil pops. We ate these hot for optimum fluffiness! You are so right! These are some tasty treats! I make these too. 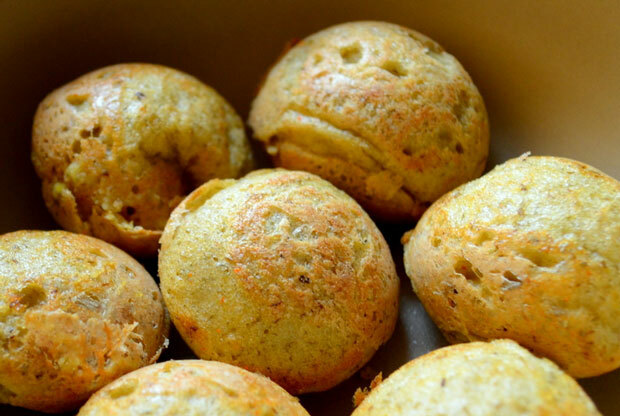 Really easy breezy recipe n always turns out a winner. Love the name, lentil pops! Makes me want lentil pops now!